Inside this package you'll find two awesome playing card gaffs printed by the United States Playing Card Company. The 52 on 1 Card features an entire deck of cards on one side and a joker on the other. And the second gaff is a double facer with a Joker on one side and a 5 of Hearts (or Spades) on the reverse. 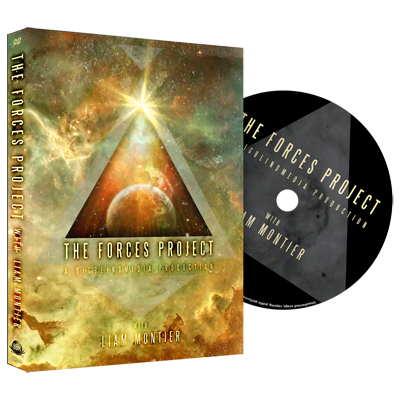 Using these two secret weapons you'll be able to unleash a mindblowing series of effects. 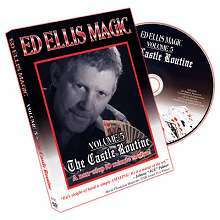 Presented by renowned UK magicians Gary Jones and Chris Congreave, this DVD is packed with material and will have you WOWING people in no time. And best of all - the magic is EASY, so you can concentrate on the presentation and taking the applause. 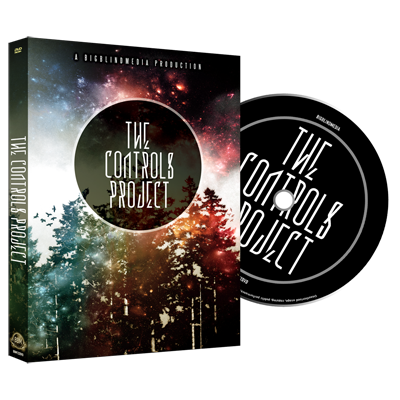 Six routines are taught, and you'll also find some killer bonus material on offer. 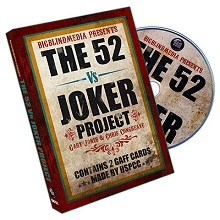 Dive into the 52 vs Joker Project NOW!